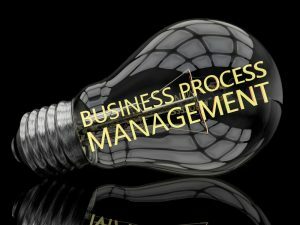 Home » Blog » What is Business Process Management? Business Process Management (BPM) represents an evolution in business thinking that provides companies of all sizes with the transparency, insight and agility to take the competitive lead. It’s such an important element of business automation that companies spent $6.96 Billion on BPM in 2016, according to research from MarketsandMarkets. The BPM market has a forecasted CAGR of 14.2% for the next five years, and is expected to reach $13.52 Billion by 2021. Demand for software and services is increasing rapidly as businesses face the challenge of reducing overall operation cost while simultaneously improving the overall efficiency of the business. Often mistakenly considered the exclusive territory of big business, BPM is equally relevant to the small-to-midsize business (SMB) market, where companies operate in the $10 – $100 million bracket. 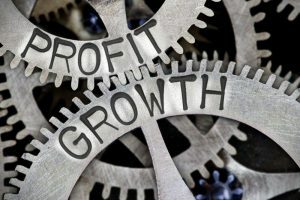 A number of software vendors emerging in this space, which demonstrates that BPM is both cost-effective and necessary for organizations of all sizes. Although business process has been a corporate focus since the late eighties, it is only now that we are seeing it reach the age of maturity in its integrated and intelligent form, referred to as BPM. Previously, business process referred to a series of database management systems, looking much like a collection of vertical stripes running in parallel, but never connecting to share data. As businesses focused on streamlining and automating their departments in an effort to become more competitive, they began to create data silos that were relevant only to departmental members. Predecessors of BPM, such as Supply Chain Management (SCM) and Customer Relationship Management (CRM), played into the silo mentality, often failing to grasp the big picture. With each department running its own applications and collecting its own data, it was difficult to establish a single version of the truth. When each system has conflicting data, how do you know which data is correct? You could be basing business decisions on incorrect data. A successful BPM solution takes a holistic approach, and encompasses a deep understanding of a company’s underlying business needs and goals, as well as its integral strengths and weaknesses. Technology that simply automates will fail to provide a competitive advantage. The best BPM solution moves beyond automation to become a catalyst for innovation, empowering users to identify the key differentiators that will lead to business success. Many of the big players, such as SAP, Microsoft, Oracle or Sage now offer small-to-midsize business version of the Enterprise-level BPM software suites. However, what works for the big guys isn’t necessarily the appropriate choice for the SMB environment. Beware of scaled down software that doesn’t address the unique SMB challenges you face, and avoid integration solutions with multiple extensions, fillers and add-ons. Ideally, software packages should be designed for your business from inception, because if a software platform wasn’t designed for your industry, will it deliver the business outcomes you desire? Most of the integrators we speak with are running anywhere from three to six separate systems to perform functions such as: sales, accounting, inventory management, time keeping, managed services, etc. How many software systems are you operating for your integration business? Doesn’t it make more sense to have one software platform to perform all those functions? Q360 allows integrators to unite all their disparate software systems under a single platform, for an end-to-end business solution. Q360 will evolve and support your infrastructure’s growth, freeing you to focus on executing on your business plan. Q360 provides you with the power to change and grow.